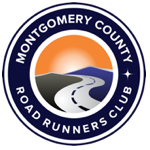 MCRRC has over 20 years of experience timing races in the Montgomery County area. We know that having a reliable timing system operated by experienced timers makes all the difference when putting on a successful race. Our team will coordinate your start and finish area, work with your volunteers to make sure that everything goes off on time and without a hassle and produce your race results. All race results are posted on MCRRC’s website the same day as the event, usually no later than three hours from the conclusion of the awards ceremony. MCRRC times races using the IPICO timing system. This extremely reliable system uses transponders (‘chips’) that runners attach to their shoes, which are collected after the race. For more information about IPICO and RFID chip timing visit IPICO’s website at www.ipico.com. Chip timing allows for easy scalability – it doesn’t matter if your race has 100 participants or 10,000, our system will deliver. Our RMS team regularly handles over 50 events each year and we have experience with races of all types and sizes – road races, cross country races and track events, ranging from less than 100 to almost 10,000 participants. Some of the races we time yearly include MCRRC’s Pikes Peek (3,500 runners), Germantown 5 Miler (400 runners) YMCA Turkey Chase (10,000 runners), and Poolesville 5k (250 runners). Fees for timing/scoring are dependent on the estimated size of the event and the logistics of the race course. Our timing/scoring packages include all equipment and staff necessary to accurately time the event and produce the results. The client is provided with complete order of finish as well as printouts of age group and award winners on-site as they are generated. Full results will be posted on MCRRC’s web site and transmitted to the client and to the media if appropriate.